Call For Gift Certificates, They Make A Great Holiday Gift! 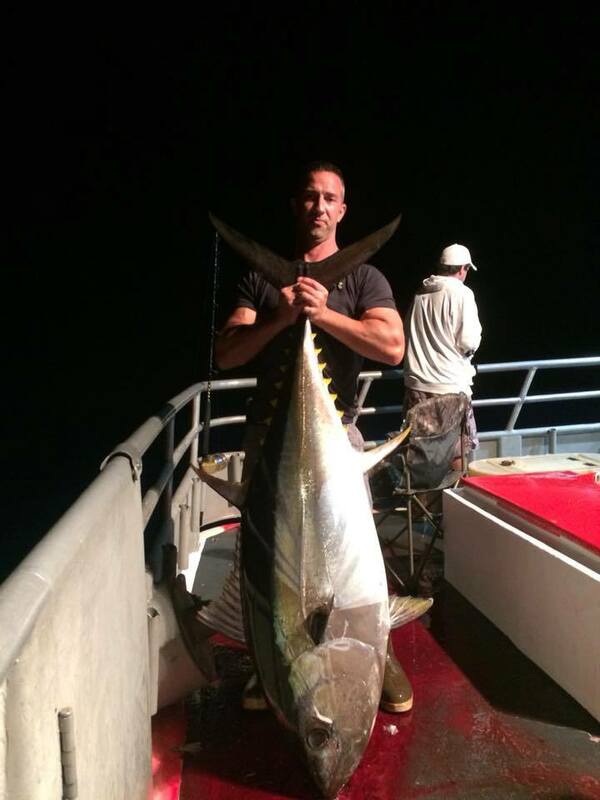 Miss Barnegat Light provides fun and exciting ocean fishing opportunities at the Jersey Shore. It's a great way to get the family out for a day in Barnegat Light, New Jersey. All of our trips are family-friendly and suitable for all skill levels. We provide bait and ice for your trip, as well as complimentary coffee for our offshore tuna fishing charters. 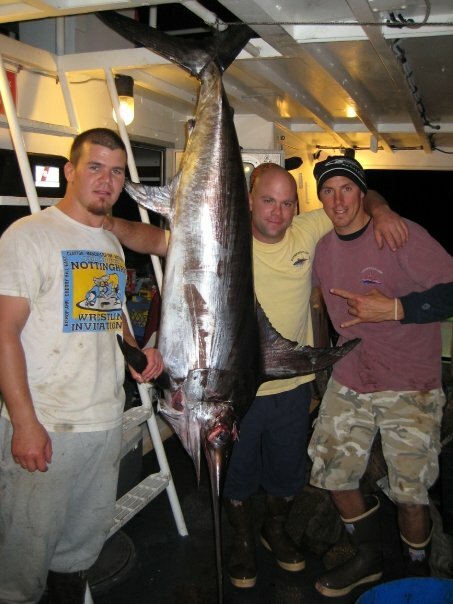 Offshore Tuna fishing are the only fishing trips that require a reservation. Please give us a call to book your trip for weekends in September and October. Go on a fishing trip with your kids. Miss Barnegat Light offers daily fishing trips during the summer. Leave at 8 a.m. and return with your haul at 1 p.m.
Watch the sun go down on an evening cruise in Barnegat Light, New Jersey. We offer cruises at 5:30 p.m. and 7 p.m. during the summer. If there's a full moon, you can even hop on a late-night cruise. All time slots include a cash bar. Spend 30 hours tuna fishing in the canyon. 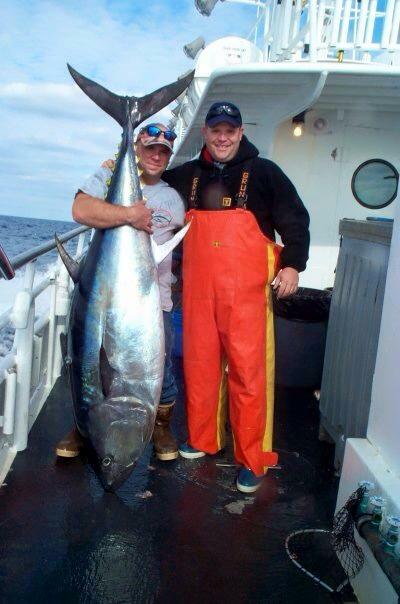 We offer tuna fishing trips for anglers of all skill levels and ages. Book your trip today to make this summer the most memorable (and delicious!) one yet. Want to avoid the heat? Miss Barnegat Light also offers striped bass fishing excursions in November and early December, when striped bass migrate by our coast. Call 609-494-2094 now to learn more about this excursion. Miss Barnegat Light is the name of our boat, a 90-foot long Catamaran yacht. She is equipped with state-of-the-art electronics and boasts twin Caterpillar C32 ACERT engines. With a rating of 2800 brake horsepower, the Miss Barnegat Light is one of the fastest party boats on the east coast. Cruising at an average speed of 25 knots, we can get you to the fishing grounds fast, minimizing traveling and maximizing your fishing time. Miss Barnegat Light has been in business in the Barnegat Light, NJ area since the 1950s. We're a family-run business-our current owner's grandfather was the original owner. Miss Barnegat Light runs from May to December and is a popular activity option for tourists in the Barnegat Light, NJ area. Contact us right away for more information about our boat, business or fishing crew.